For months, everyone has been curious what kind of role Christopher landed on the NBC soap. He is arriving around the same time as Louise Sorel, who portrays Vivian Alamain. This led many to assume he would play Vivian’s son, Nick Alamain. However, head writer Ron Carlivati revealed Tyler is playing a brand-new character. Days of Our Lives spoilers reveal that Tyler Christopher is playing a man named Stefan. This seems to be quite close to the name Stefano. As Celeb Dirty Laundry pointed out some time ago, there needs to be a new DiMera. It seems that is exactly who the soap vet is playing, a new member of the prominent Salem family. Not a whole lot has been revealed about the new character. However, it was explained that he will be very funny. It makes sense that he is a new DiMera because that family needs to grow. So many of the DiMeras have passed away. In order to reign over Salem again, they need new family members. One that is diabolical, slightly evil and funny is just the ticket. 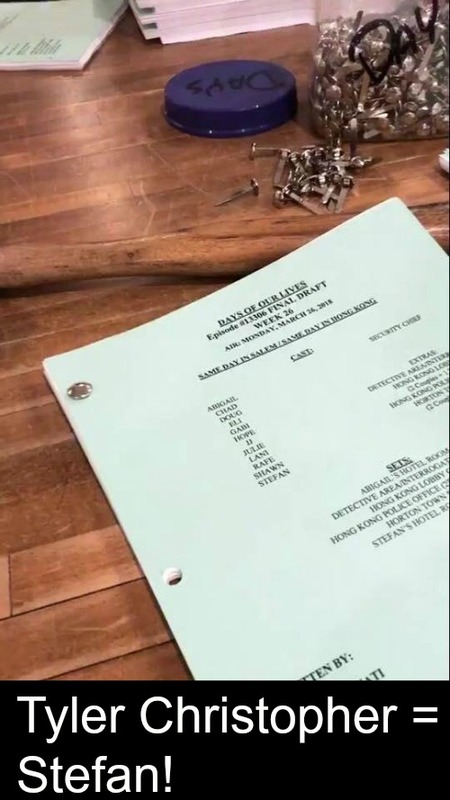 The script cover leak also teased that there will be a criminal investigation. Not only is the Salem interrogation room one of the sets, but so is the police station in Hong Kong. That is where Shawn Brady (Brandon Beemer) is with his wife, Belle (Martha Madison.) Could this all be tied in together? 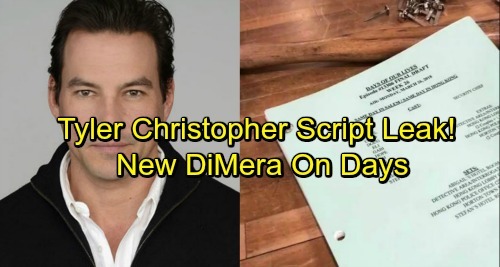 Days of Our Lives spoilers tease that Tyler Christopher will be arriving around the same time as Vivian Alamain. It appears that they might show up together shortly after New Year’s Eve. Are the two connected and if so, in what way? Is this also tied in with Robin Strasser appearing on the long-running daytime series? It sounds like it is going to be a family affair and whenever a new DiMera shows up, there is always trouble and excitement. Keep watching the NBC soap and check back often with CDL for the latest Days of Our Lives spoilers, updates and news.